August 2015 ~ Debian, Ubuntu et al. Configure your browser to connect through I2P. I'd recommend you to use Firefox. Preferences --> Advanced --> Network tab. In the Connections section, click on the Settings button. 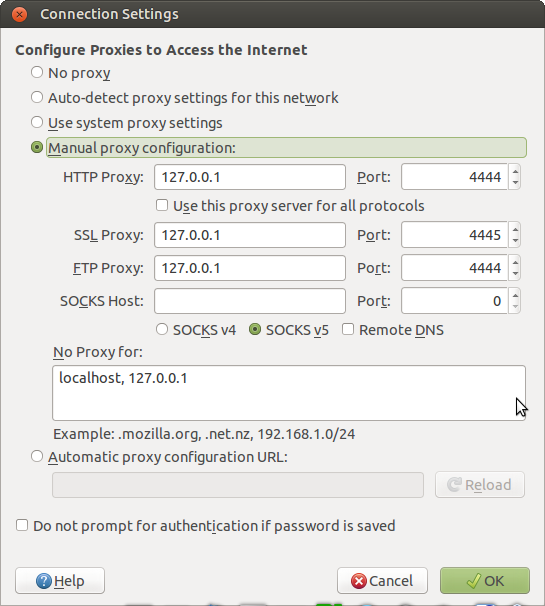 Click the circle next to Manual proxy configuration, enter 127.0.0.1, port 4444 in the HTTP Proxy field. 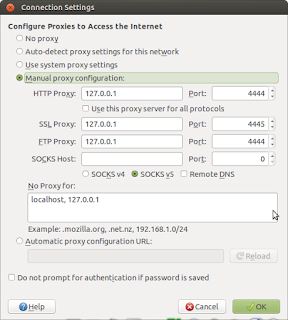 Enter 127.0.0.1, port 4445 in the SSL Proxy field. Add localhost and 127.0.0.1 into the "No Proxy for" box.